A new study has revealed that the risk of colon and rectal cancer is lower with 20% on those people who consume healthy vegetarian diets on a regular basis that the non–vegetarians. The study involved 77,000 adults both men and women of Seventh-Day Adventists. According to Dr. Michael Orlich a lead researcher and an assistant Professor of preventive medicine at Loma Linda University, watching out on diet is a potential approach in reducing the risk of colorectal cancer. From the sample data of people used for this study, vegetarians obtained a 22percent reduction in the likelihood of developing colorectal cancer in comparison with the non – vegetarians. 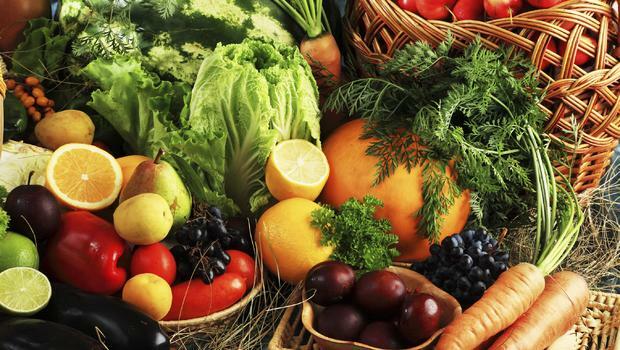 “Vegetarians will eat less meat, snacks and refined grains compared to non – vegetarians. Instead, they will have more intake of vegetables, nuts and beans and more fruits”. This is Orlich’s observation during the study. Alongside other authors of the study, he went further to state that there would be lesser incidences of colorectal cancer if only people adhered to undertaking vegetarian diets. Colorectal cancer has been rated as the second most prominent cause of cancer related deaths in the US. This said and if the findings of the study are anything to go by, Dr. Orlich advises that its way better to prevent cancer from forming other than waiting to cure it. Colorectal Cancer has also been associated with red and processed meat. Never the less, the professor of epidemiology at Columbia University Medical Center, Dr. Alfred Neugutstates that it still not very clear what is so protective in vegetables or what is so harmful in meat. The only clear thing within the many dietary studies carried out is the association between cancer and diet. Neugut further argues that it is very possible and easy to identify other healthy behaviors from a person on a vegetarian diet. People may not have taken this kind of study seriously until they suffer the consequences of cancer but Neugut advises on the need for moderation.